The Roots Of Franchising Took Hold In A Hair Salon Chain Franchising is commonplace throughout the retail and service economy, whose pioneers included a former servant turned hair salon owner in the late 19th century. Such businesses are not for everyone, but Gary Robins, who owns dozens of Supercuts, says the setup has allowed him to grow more quickly than if he were on his own. NPR explores issues facing small businesses in the U.S.
Gary Robins sits in the chair of his Supercuts salon in Media, Pa., one of 41 he owns throughout Philadelphia and Delaware. We have been reporting for several weeks now on small businesses in America. Today, we explore a business system where entrepreneurs and corporations come together: franchising. Franchising is a bit like marriage. It takes a good long-term relationship to succeed. It makes sense to begin a story about franchising and the hairstyling business by looking to Martha Matilda Harper, a servant living in Rochester, N.Y., in the late 19th century. In her spare time, she developed a special hair tonic. The tonic sold well. So she quit and opened a hair salon. "The women just adored it," says Jane Plitt, a researcher and author of Martha Matilda Harper and the American Dream: How One Woman Changed the Face of Modern Business. 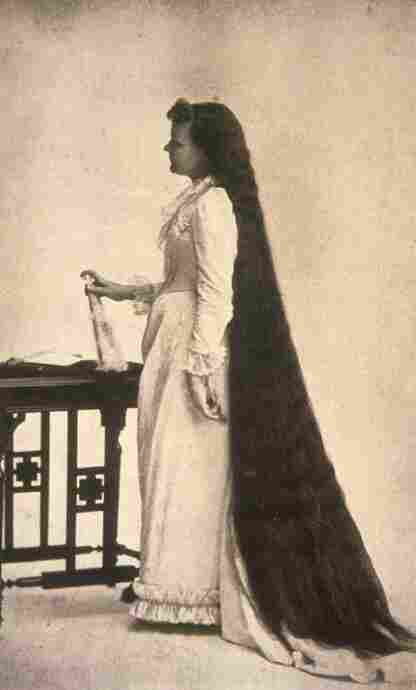 "This was a time in 1888 when, usually, wealthy women had their hair dressed in the privacy of their home. But Martha was now doing it boldly in public, and there was a lot of buzz. It was the showcase." Harper was an innovator. She invented the reclining shampoo chair — and she was a savvy marketer. "A picture of her with her floor-length hair was posted on the front door so that people would come in and say, 'What happens here?' Her hair was her advertisement," Plitt says. Perhaps her most important contribution was to the new field of franchising. Starting with that one shop in Rochester, she expanded her brand by selling franchises to other women, many of whom were quite poor. At the peak of her success, Harper had franchised her business to more than 500 stores. Her salons — and her hairdressing technique — were called the Harper Method. "The Harper Method, it was the method that people chose to use," Plitt says. The Harper Method ultimately gave way to franchises we're familiar with today. Gary Robins, 51, is the owner and operator of 41 Supercuts throughout the Philadelphia area and Delaware Valley. He's a serial entrepreneur. He tried franchising once before with video rental stores. "I was that guy behind the counter who said, 'Mr. Berliner, you forgot to rewind your tape. That's 50 cents.' That was me," Robins says. The video rental business. You know how that movie ended. So in 1998, he started with a Supercuts franchise in Wynnewood, Pa., and he's been expanding ever since. Robins says after his first try at franchising he knew he wanted to try again. It offered a way to run his own business, drawing on the strength of an established brand. He never thought it would have anything to do with hair. "If you'd ranked them from No. 1 to 20, hair salons would have been No. 21," Robins says. He wound up choosing Supercuts, partly because haircuts would never go the way of the videocassette. "One of my criteria was whatever business I was going into, I did not want to be susceptible to technology or a piece of the puzzle." Franchises are prevalent throughout the consumer economy — from McDonald's to service companies like Supercuts or hotels like Hampton Inn. What they share in common is a business system. The franchisee pays an upfront fee to get started and a percentage of total sales. In return, the franchisor provides marketing, training — basically the keys to the brand. "Almost everything you see in here is from Supercuts. The wallpaper is a decision made by Supercuts; the sign holders there are a decision made by Supercuts; the signs in there are a decision made by Supercuts; the benches, the flooring, the floor mat, the lettering on the door, the reception desk, the lighting, the stations that the stylists are using," Robins says. Though the Supercuts imprint is everywhere, Robins owns the business. He's responsible for the bottom line. The infrastructure allows him to focus on customer service and expansion. So someone who really likes their independence and doing things their way will find franchising a very uncomfortable setting as a franchisee. "You can take your capital and apply it to the franchise and grow quicker than you could on your own," Robins says. But for entrepreneurs who chafe at rules and established systems, franchising probably isn't a good idea. "They will have the franchisor telling them what to do, when, how much, and there's a lot of controls that come with that," says Francine Lafontaine of the Ross School of Business at the University of Michigan. She co-authored a book on the economics of franchising. "So someone who really likes their independence and doing things their way will find franchising a very uncomfortable setting as a franchisee," she says. Another challenge in franchising — contracts. They can last up to 20 years. As Robins points out, it's much easier to get a divorce than it is to get out of a franchising contract. So it really helps if the two sides get along. Given all that, is franchising worth it? Lafontaine says franchises do have a slightly better track record than solo enterprises: "We found a small advantage to being franchised overall. They have a higher survival rate at one year, at two years, at three years." For Robins, the formula seems to be working. 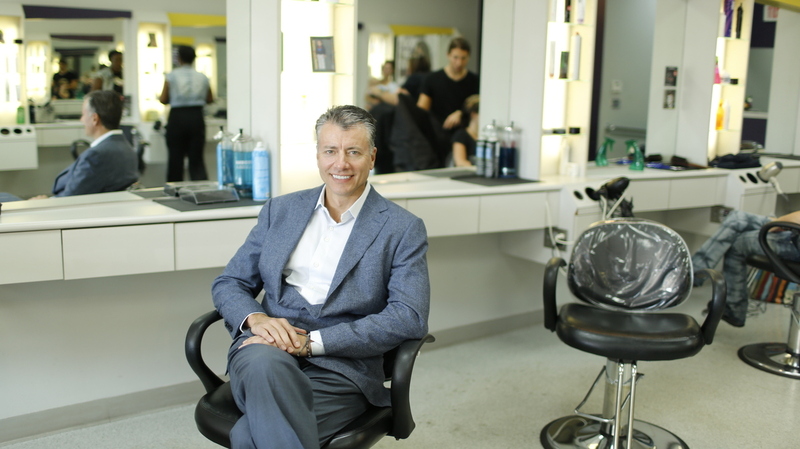 He says he's opened nearly half of his 41 Supercuts franchises since the financial crisis.